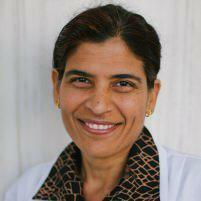 Dr. Sushma Bhadauria provides infertility services for patients in Los Angeles, CA, and the surrounding areas. Dr. Bhadauria and her staff are highly trained and caring medical professionals who have special expertise in infertility services, and dedicate their practice to helping families grow. According to the American Pregnancy Association, infertility affects between 10 to 15 percent of couples in the U.S. A clinical diagnosis of infertility is given when couples have been trying to conceive unsuccessfully for at least one year. Women over 35 often have problems conceiving but may not be diagnosed with infertility because of their age. For most women, fertility rates peak in their 20s and start declining in their 30s as production of eggs decreases and ovaries do not respond as well to hormones as they once did. Polycystic ovarian syndrome is another treatable hormone imbalance condition that interferes with the ovulation process. Additionally, stress, obesity, smoking, heavy alcohol use, excessive exercising and poor diet are other factors known to contribute to infertility issues. How Does Dr. Bhadauria Treat Infertility in Women? Depending on the reason for infertility, Dr. Bhadauria will intiate the appropriate treatment plan to correct health problems affecting women who want to conceive. For example, medications such as Clomiphene stimulate ovulation so that healthy eggs are produced by the ovaries. If Dr. Bhadauria discovers that infertility is not caused by hormonal imbalances but with fallopian tube complications, she may recommend minimally invasive surgery to remove blockages or repair tubes affected by endometriosis.